Quickly cuts 1-1/4" and larger PVC, CPVC and ABS pipes using a 3/8" electric drill. 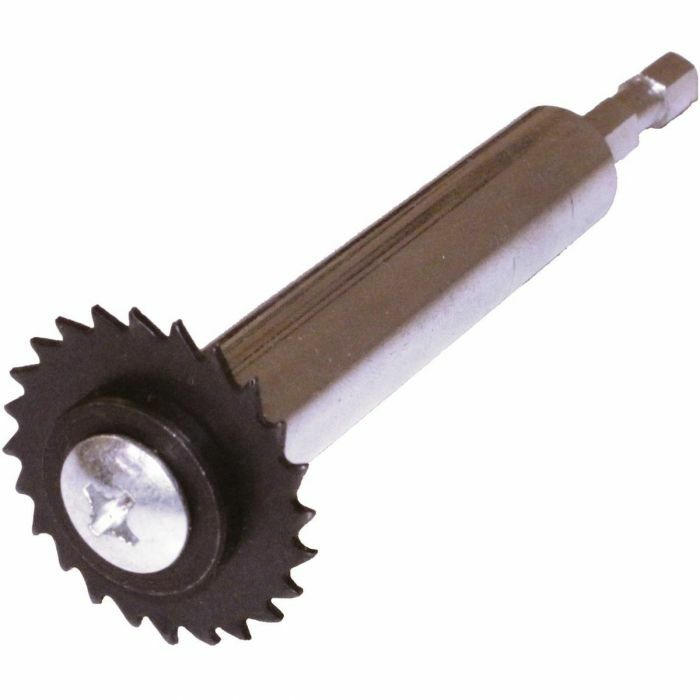 This internal diameter pipe cutter will quickly cut PVC, CPVC and ABS pipes. It has a 3" shaft and will cut 1-1/4" and larger pipes. The cutter is designed for use with a standard 3/8" electric drill. It is the perfect solution for cutting drain stubs to floor level on shower and toilet installations.